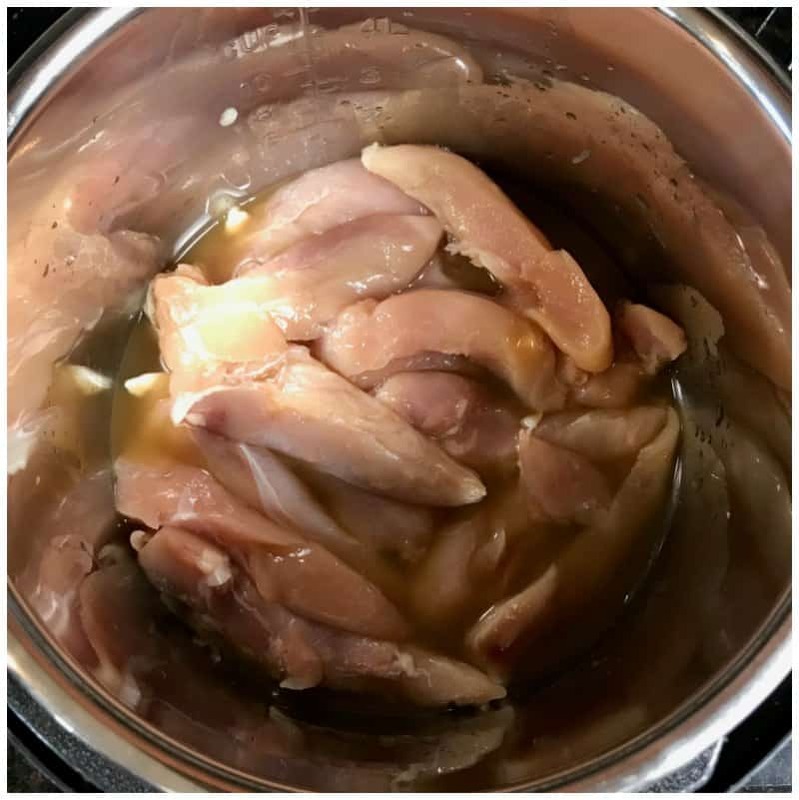 I’ve been making this Instant Pot Keto Crack Chicken Recipe since the first week I received my pressure cooker. This recipe can be used as a dip but you can also make it a main meal. It serves up nicely with a side of zucchini noodles or mashed cauliflower. It’s pretty rich and tastes simply amazing! Even though the tastes knocks this one out of the ballpark, the simplicity of the recipe is why I adore it so much! It’s a total win-win in this mom’s busy life! Thank you dear sweet baby Jesus for my Instant Pot Electric pressure cooker! For those that don’t know much about these wonderful pressure cookers, let me tell you which one I am using and why. I am using the Instant Pot, 6 quart DUO model 9 in 1 Electric Pressure Cooker. This size works out extremely well for my family of 4. If my family were larger, I would probably go with a bigger size pressure cooker. When these Instant Pot pressure cookers came out, the 6 quart was the only size available. Today, they have a few different varying size ranges. You can see the full line of Instant Pot Pressure Cookers on this page. There is a difference in price between the Instant Pot LUX model and the Instant Pot DUO model. If you are on a budget and want to spend less, you can grab the Instant Pot LUX model. I have both the LUX and the DUO 6 quart Instant Pot and there are only a few differences between them both. The biggest difference is the automatic yogurt function. The yogurt function is only on the DUO model. The DUO model and a removable cord and a notch that holds the lid. Those are the only differences between both models. 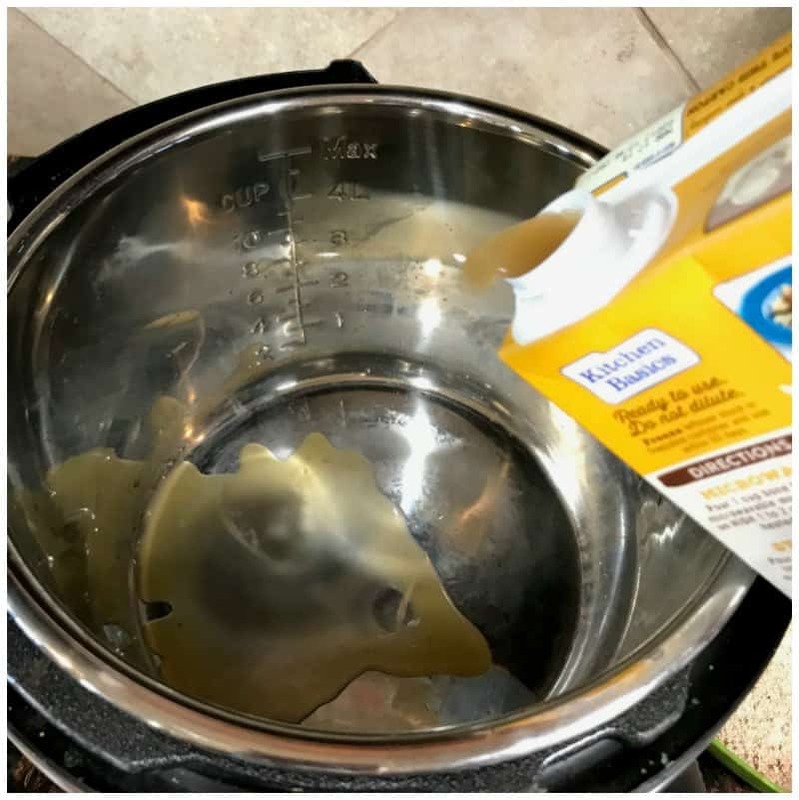 If you plan to make yogurt, it may be worth it for you to purchase the more expensive Instant Pot DUO model. This is the model I have, but honestly, I’ve not made yogurt at all. You will have to judge the price difference versus the added benefits in each for yourself. 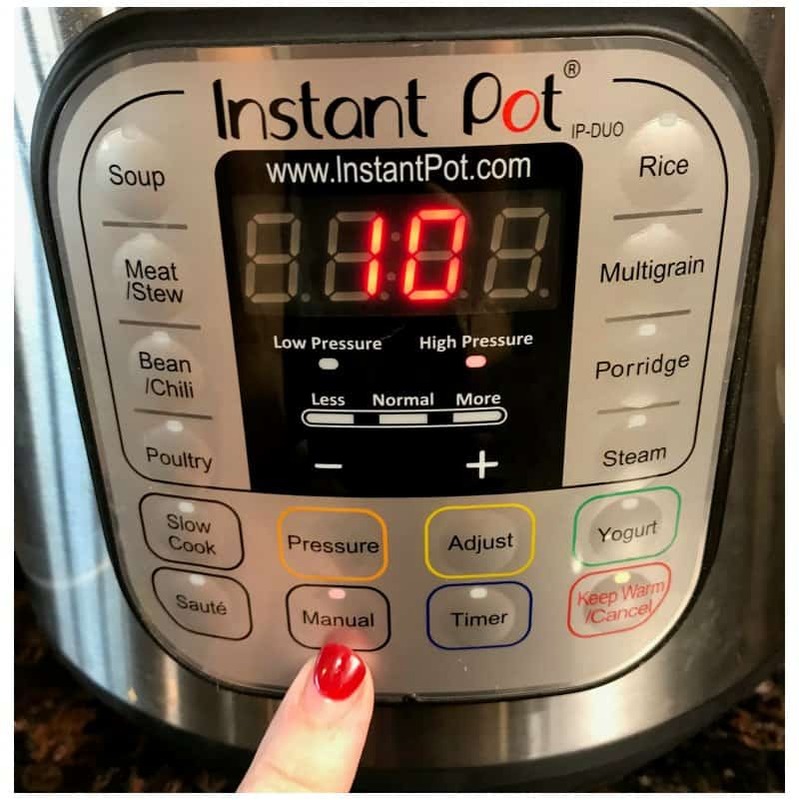 Compare all Instant Pot Models and see all the wonderful accessories here. 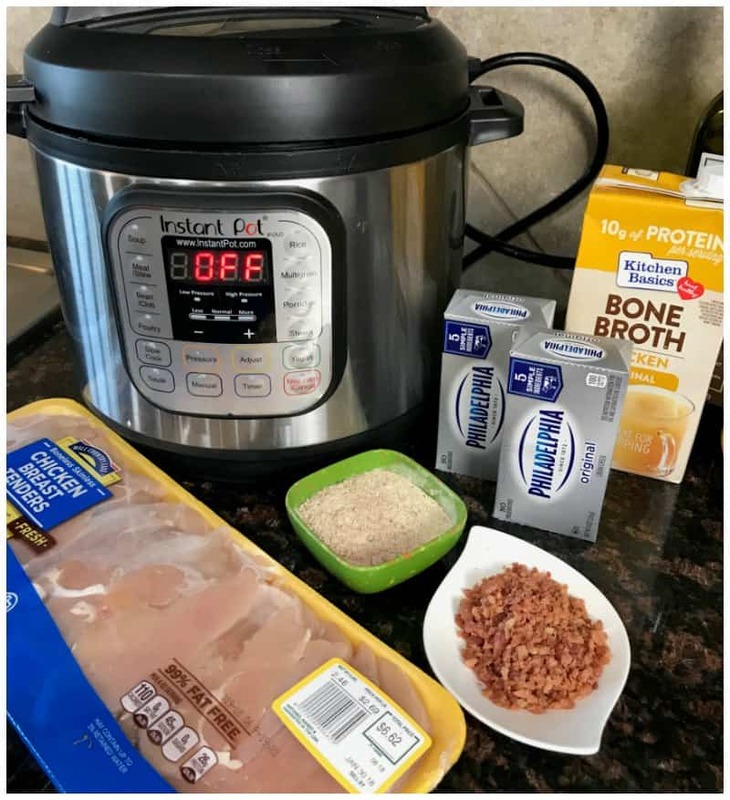 I hope that information about the Instant Pot pressure cookers helps anyone looking to get a new pressure cooker to add to their kitchen tools. I love, love, love mine! I use it every week. Did you see the Pressure Cooker Lobster Tails in Butter Sauce I made in it a few weeks ago? OMG! I just love how it takes dinner from frozen to done in just a few minutes! It’s especially helpful on those days I forget to defrost something for dinner. You should also check out this Instant Pot Corned Beef and Cabbage recipe. It’s super simple to make and it’s loaded with flavor! We have exciting news! 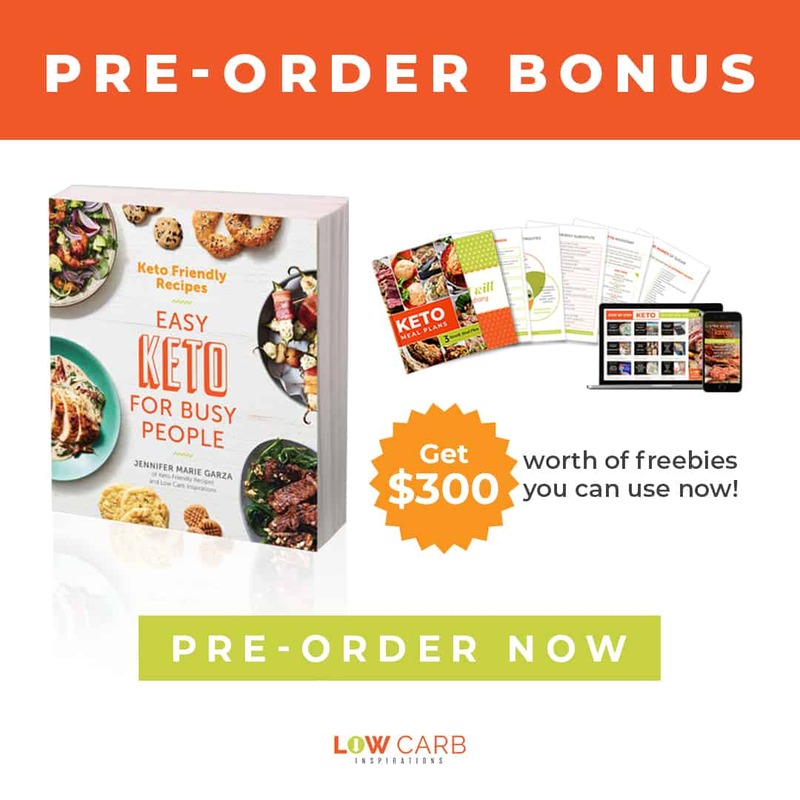 You can preorder the Keto Friendly Recipes: Easy Keto For Busy People COOKBOOK!! I welcome you to join our Low Carb Inspirations group on Facebook! 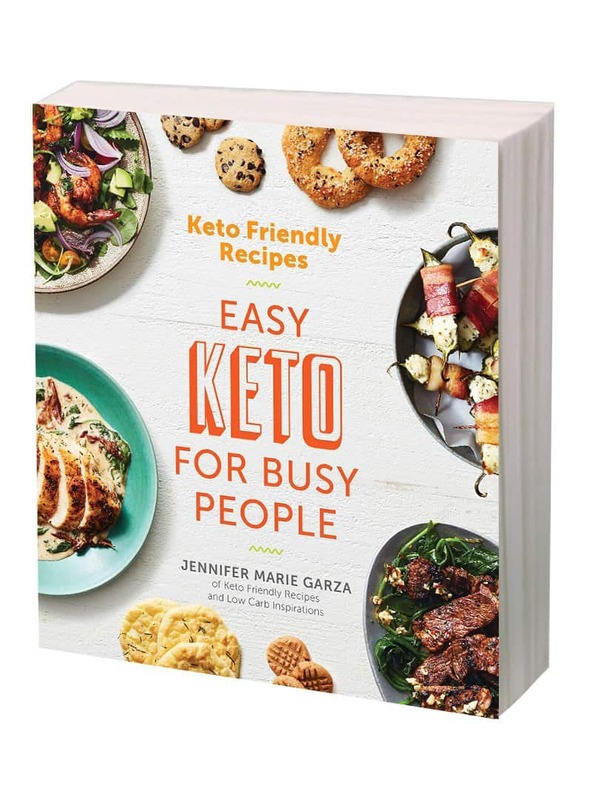 We have a supportive environment where we share all sorts of information about our Keto and Low Carb Lifestyles! Note: If you are doing strict Keto you will want to note the Dry Ranch Seasoning packets contain maltodextrin. It’s an ingredient I try to stay away from myself. You can make the homemade dry ranch seasoning recipe below and skip the buttermilk powder too. The cream cheese and cheddar cheese will create a thick cream sauce that is very tasty without these ingredients. 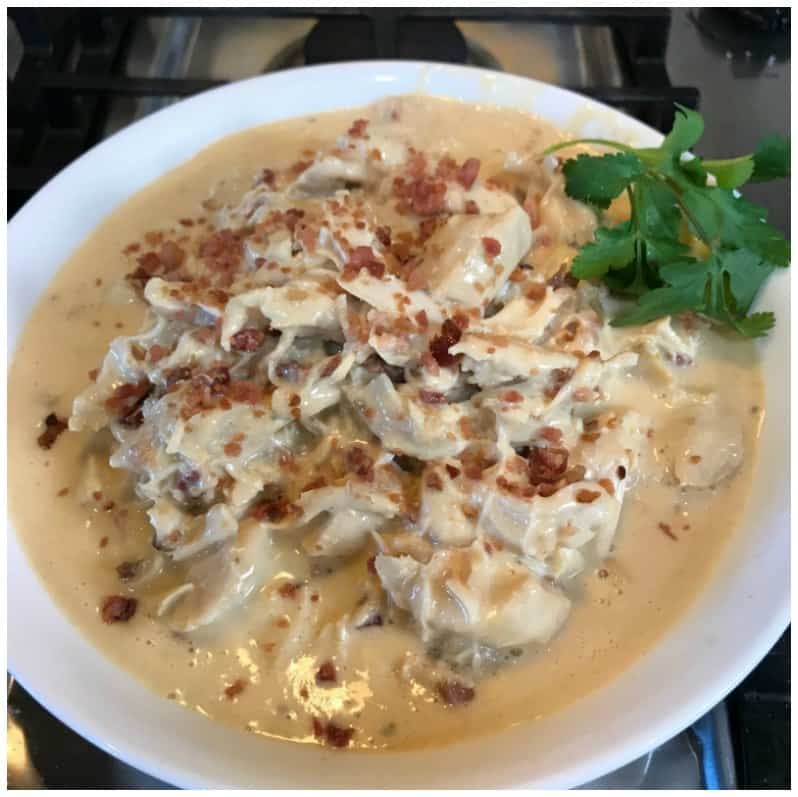 And, if you want a thicker cream sauce as the base of this recipe, you can always add a keto approved thickener such as Xantham Gum powder too. Add a very small amount. I would start off with 1/8 of a teaspoon and maybe go up to a 1/4 teaspoon. Place 1 cup of liquid (bone broth or water) in the bottom of the pressure cooker. 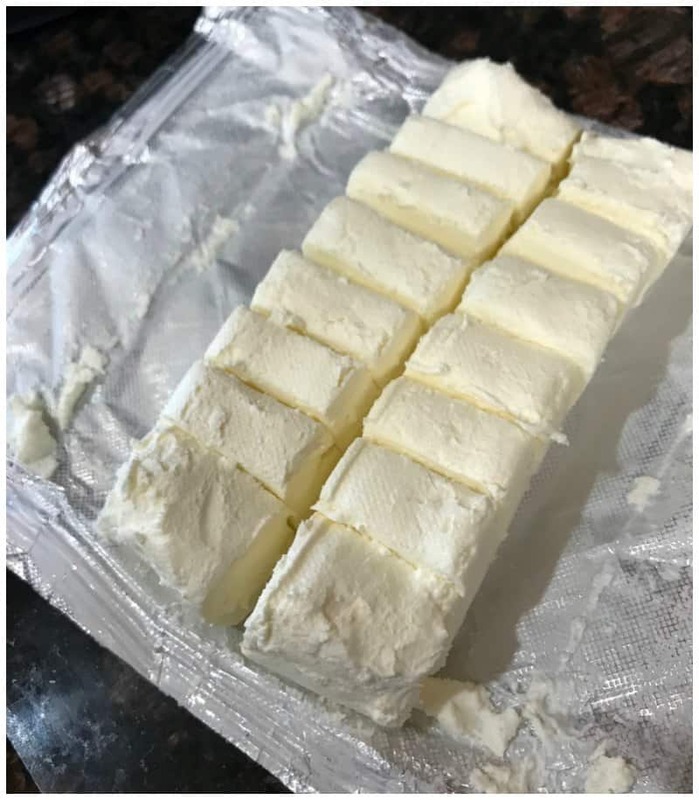 Prep the cream cheese by cutting the blocks into large cubes. Add the chicken to the pressure cooker. Add the cream cheese and seasonings on top of the chicken. Set the pressure cooker to high for 10 minutes for chicken tenders or 12 minutes for full chicken breasts. Once the time is up, do a quick release. 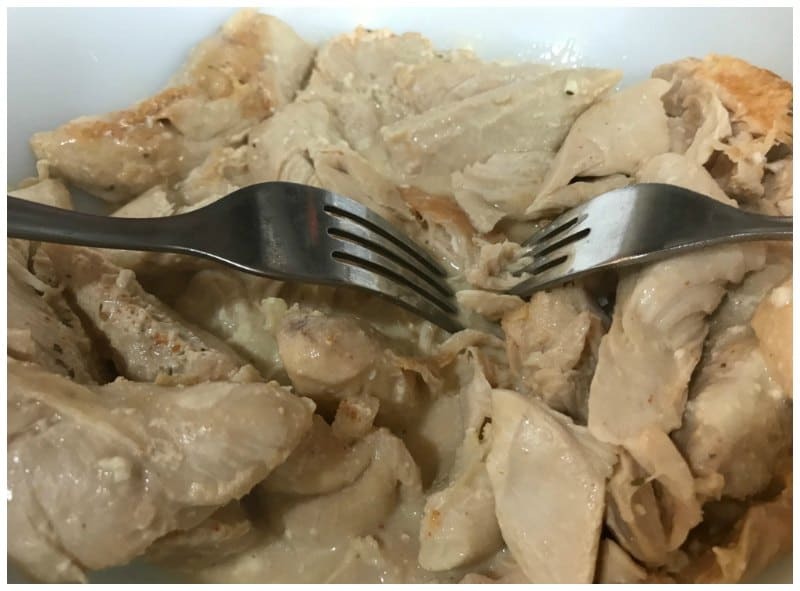 Carefully remove the chicken and shred it using two forks. Place the shredded chicken back in the liquid juices that are reserved in the pressure cooker. Add the cheddar cheese and bacon crumbles to the shredded chicken and mix the ingredients together. Place the lid back on the pressure cooker (but don’t turn it on, it will be hot enough to melt the cheese and warm the bacon) for about 5 minutes. Letting the ingredients sit for a few minutes will allow the sauce to thicken. Optional: Feel free to top it with green onions for extra flavoring. Or even spice it up a bit with a 1/4 cup of Frank’s Redhot buffalo wing sauce! Sometimes we add a bit of spice to it too! Jalapenos!!! Cheesy, gooey goodness right here!!! So yummy! 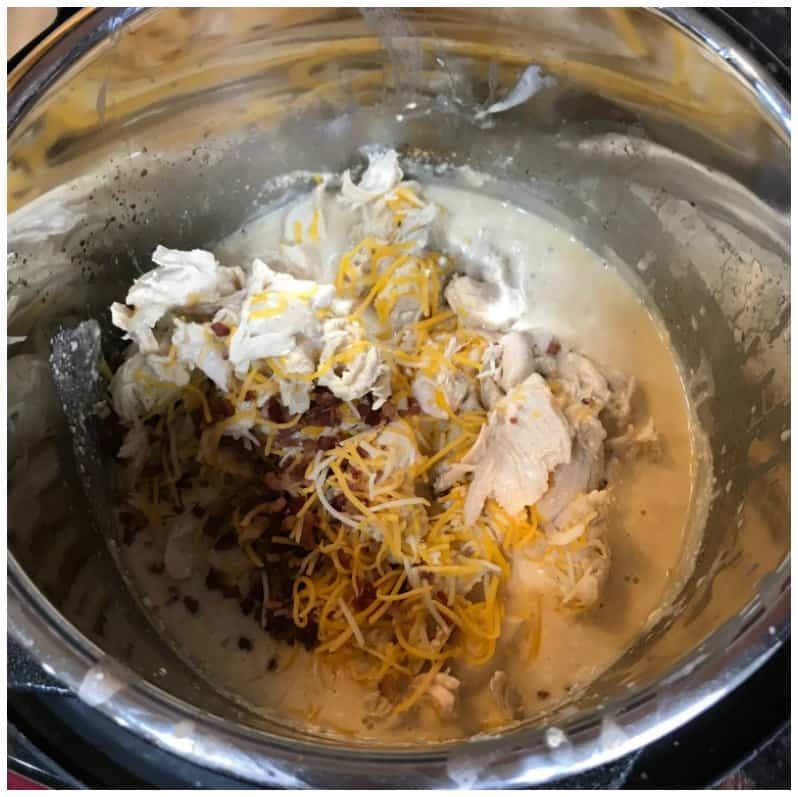 Don’t forget to pin this Instant Pot Keto Crack Chicken Recipe on Pinterest for later!! Note: If you are doing strict Keto you will want to note the Dry Ranch Seasoning packets contain maltodextrin. It's an ingredient I try to stay away from myself. You can make the homemade dry ranch seasoning recipe below and skip the buttermilk powder too. The cream cheese and cheddar cheese will create a thick cream sauce that is very tasty without these ingredients. 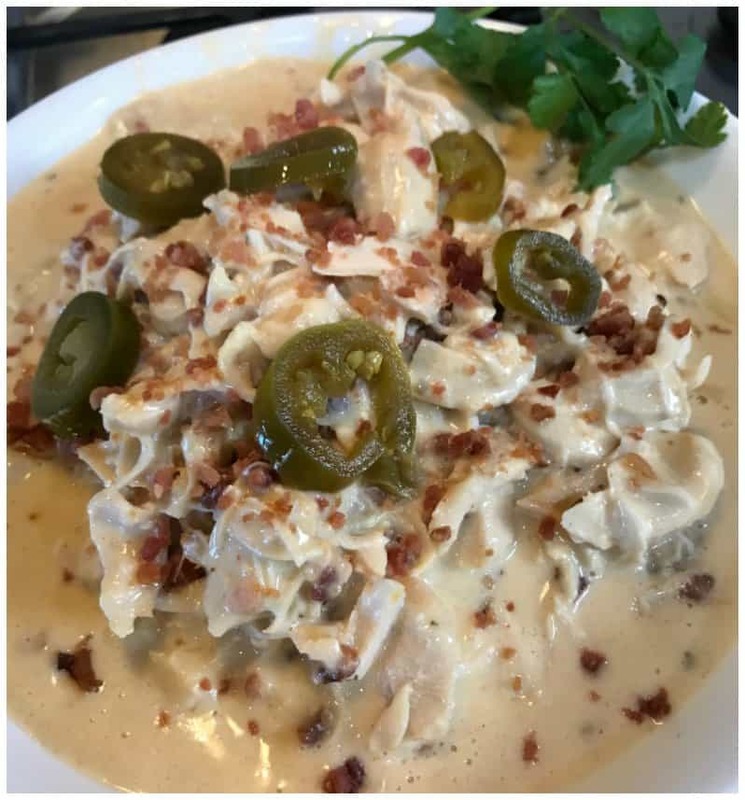 And if you want a thicker cream sauce as the base of this recipe, you can always add a keto approved thickener such as Xantham Gum powder too. Add a very small amount. I would start off with 1/8 of a teaspoon and maybe go up to a 1/4 teaspoon. Once the time is up,do a quick release. Place the lid back on the pressure cooker (but don't turn it on, it will be hot enough to melt the cheese and warm the bacon) for about 5 minutes. Letting the ingredients sit for a few minutes will allow the sauce to thicken. You can get the full recipe instructions for this Dry Ranch Seasoning recipe here on The Pioneer Woman website. 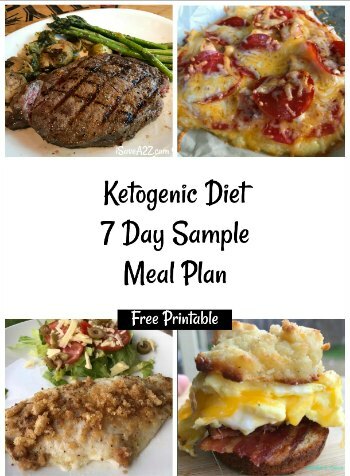 By Jennifer on August 2, 2018 Instant Pot Recipes, Keto Appetizer Ideas, Keto Dinner Recipes, Keto Friendly Recipes, Keto Lunch Recipes, Low Carb Recipes, Main Dishes, Recipes, Weight Watchers. How big is the “scoop” in the serving size???? 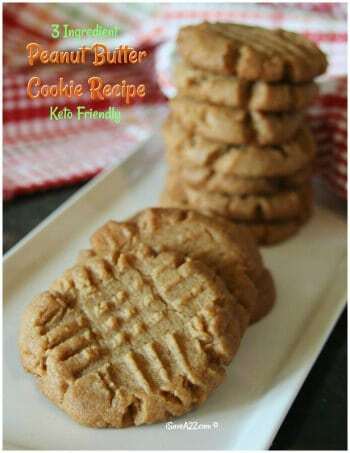 A definite keeper, this recipe!! Flavorful comfort food to enjoy over and over! One note: my chicken breasts were quite large and didn’t cook completely through in the recommended 12 minutes. I’ll adjust for that next time by cutting them in half. This is called crack chicken for a reason. Once you make you once you will want to make it over and over again. Thanks for such a fantastic recipe. Delicious. Definitely a keeper. I added a bag of frozen chopped broccoli. Just the perfect comfort food. 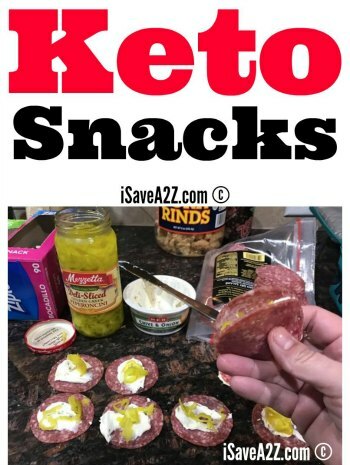 YUM add this to your Keto Noodle to make a killer Lasagna!!!! This was unbelievably good and so easy! I served it over noodles but think it would be even better served over mashed potatoes…definitely a keeper! What type of noodles? And did you use real mashed potatoes, or cauliflower faux potatoes.? This looks wonderful, thanks for posting it! If I wanted to half the recipe, would I need to reduce the cooking time? Thanks again, I can’t wait to try it! I made this yesterday and it was super simple and delicious! I omitted the bacon cause I didn’t have any. Only issue I had was it was too rich in flavor, I think next time I’ll only use one packet of ranch… but it is amazing and definitely a go too simple meal! 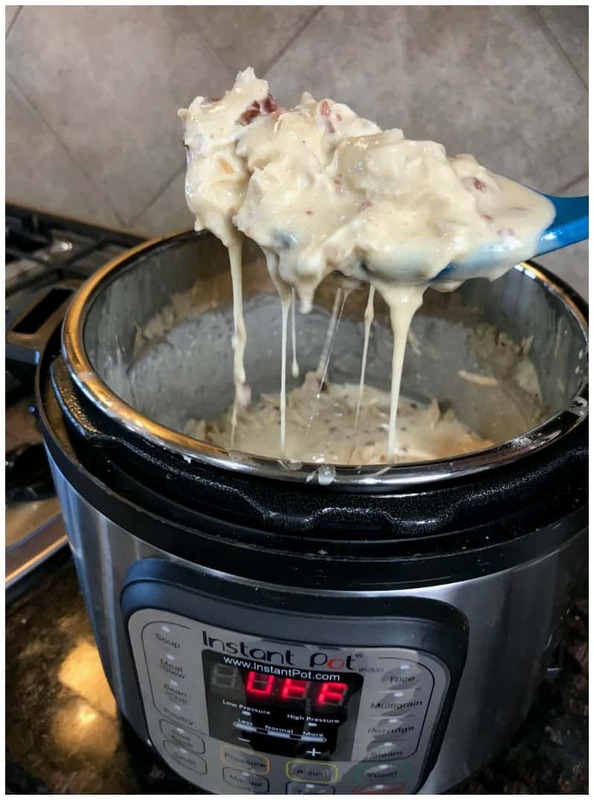 Did it work in the crockpot with exactly the same ingredients??? Wondering if crockpot will work?? What sides do you recommend for this? This is delicious! I took your suggestion and added to it. I added a can of diced green chillis and extra bacon. Sooo good! The only change was that I didn’t put the shredded chicken back into the Instant Pot. It was so hot in the bowl. I just added the cheese and bacon to it and stirred it up. The cheese melted while stirring. I was afraid to put the chicken back in the pot with the all the liquid. It was perfect! Thank you so much! This looks so yummy! 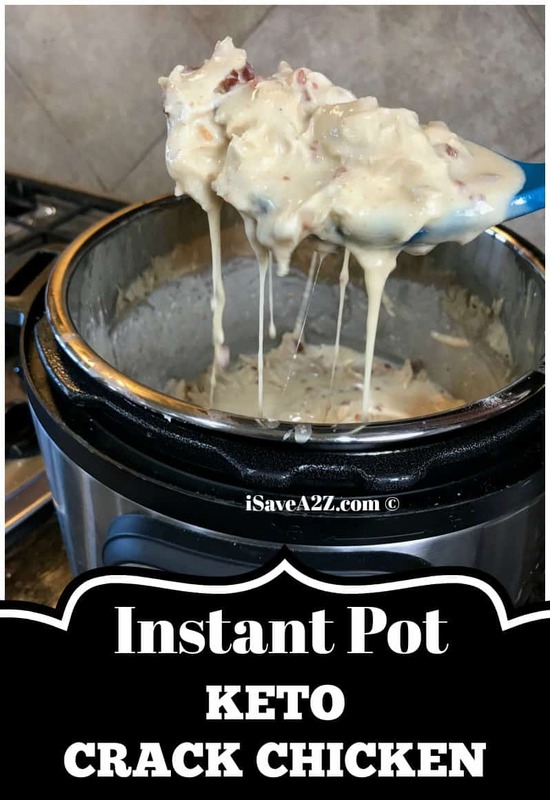 But what if you dont have an instant pot? Could you do the same with a crock pot? I have no idea the difference. Instant pot is a fast cooker and crock pot is a slow cooker. Made this last night for dinner and it was a hit! Everyone enjoyed it! I had mine with zoodles and the rest of the family had noodles, but my husband said he would enjoy it over rice next time in case anyone else is trying to decide what to serve it over and not everyone is eating low carb. Anyway, I will definitely add this to my regular meal rotation. Thanks for a quick, easy & delicious meal! I made this with dry Italian dressing. It was yummy. Even my husband liked it! I am making this dish now, but I got the BURN beeping on my IP. I Had to stop cooking and open lid, after the release. There was plenty of liquid. But the chicken breast were burnt stuck to bottom on pot.. I added a bit more liquid and but it back on again. I hope it cooks ok!! OH MY EFFING GOSH!!!!! THIS WAS AMAZING! 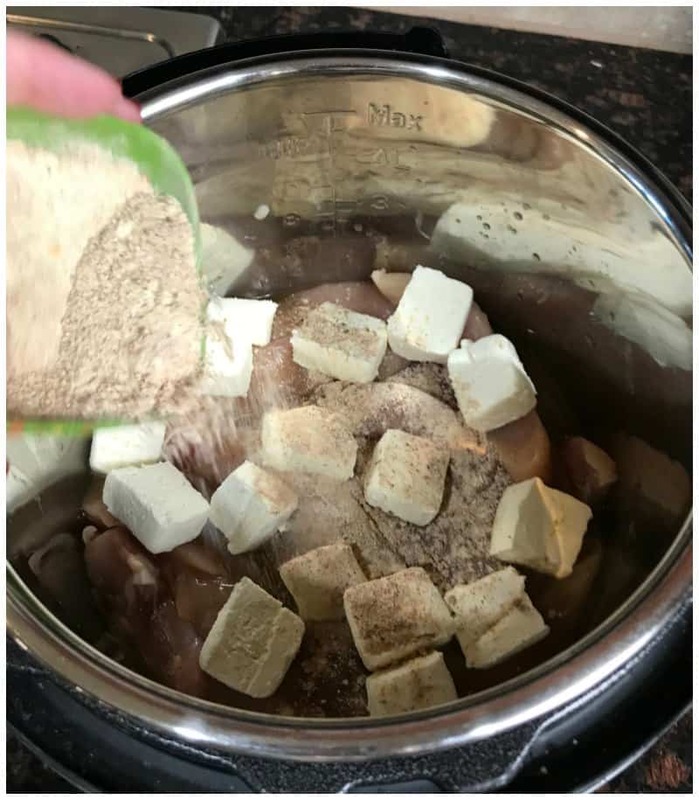 I made the ranch seasoning from scratch for Keto thank you for that breakdown. I thought it would be too much dill, but it was GREAT. ALL OF IT WAS AMAZING. If I were serving it to normal eaters I’d serve it over fettuccine noodles. Am I right?! Thank you for this recipe, it’s a keeper for us!